Dr. Van Breeding examines a patient, renowned mountain banjo player Lee Sexton, of Whitesburg, Ky.
On average, health centers in expansion states served 40% more patients than those in non-expansion states, reported higher staffing ratios for oral and behavioral care, and were more likely to report increased capacity to provide services. It's a long drive from Dr. Van Breeding's hometown of Whitesburg, Ky., to Lexington. As a child, his family frequently made the trip to take his octogenarian grandmother to the nearest cardiology clinic. “I remember you had to get up at 3 o'clock in the morning in order to drive down for her to make her 9 o'clock appointment,” Breeding said. Today, Breeding serves as director of clinical affairs for Mountain Comprehensive Health Corp., a community health center network based in Whitesburg that serves 30,000 patients a year across six counties in eastern Kentucky. One-third of residents in the Whitesburg region are poor and many are addicted to heroin. Nearly a quarter of the residents of Whitesburg's Letcher County have diabetes, and adults have higher rates of colorectal cancer, hypertension, asthma, stroke and heart disease than others in the state. “My heart is in these hills and with these people,” Breeding said. And he's been able to help them in ways he never imagined. In the past seven years, Breeding has seen his practice grow from five clinicians at two sites to 300 employees at seven clinics. Mountain also has a dental clinic and an optometry clinic. And in 2015, it opened its Farmacy program, which gives low-income people vouchers to buy fresh produce from local farmers. Much of Mountain's growth occurred through the Affordable Care Act, which funneled grants aimed solely at helping community health centers provide services not traditionally covered by third-party payers. Between 2011 and 2015, local clinics across the country received $11 billion in Section 330 grants through an ACA provision called the Community Health Center Fund. Congress extended the program in 2015, providing $7.2 billion over the next two years. But the fund is set to expire in September, and its future is in doubt. Community health center operators are fairly confident lawmakers will re-authorize the fund because their work has consistently received bipartisan support. Plus, Congress has already extended the fund twice. The difference this time around is how it can continue without the ACA, which has been its funding mechanism over the past several years. It's unclear where the money will come from if the health law is repealed. Also uncertain is whether funding would continue to be a part of mandatory federal spending or become discretionary and subject to the annual congressional budget appropriation process. With the GOP targeting both the ACA and Medicaid, operators of community health centers fret over their funding. Thanks to the fund, 950 community health center sites have opened since 2010. In all, the U.S. has 9,800 such sites serving more than 24 million patients annually. The Community Health Center Fund accounts for more than 70% of community clinics' federal funding. It made up nearly a fifth of total health center revenue in both 2013 and 2015, according to the Kaiser Family Foundation. Medicaid makes up 44% of health centers' $21 billion in total revenue in 2015. At the same time, the number of uninsured patients fell in states that chose to expand Medicaid. Kentucky's expansion caused the state's uninsured rate to fall by nearly 13 percentage points from 2013 to 2016. It's one of the country's success stories, which is why former Gov. Steve Beshear was asked to respond to President Donald Trump's speech to Congress last week. Trump asked members of both parties to support replacing the ACA and changing Medicaid. Recent proposals to change Medicaid would significantly reduce the program's federal funding. One proposal would turn Medicaid into a block-grant program or impose a per capita limit. The left-leaning Center on Budget and Policy Priorities last year estimated either of those plans would reduce the number of Medicaid beneficiaries by 14 million to 20 million over a decade. In 2015, 76% of health center patients were insured (49% through Medicaid), up from 65% in 2013, the year before the ACA coverage expansions took effect. Mountain in Kentucky enrolled more than 6,000 patients in Medicaid, which helped cut the self-pay population from 20% to 3%. The added revenue from insured patients has freed up money for Mountain to open its clinics on Saturdays. Mountain's physicians, Breeding said, have gone from trying to find drug samples for patients to having enough time to counsel them on ways to stay healthy. Vernita Todd, executive vice president of external affairs for Health Center Partners of Southern California, a consortium of 17 community healthcare organizations with 126 sites, worries about what lower funding will mean for networks like hers. She said cutting already low Medicaid reimbursement rates has made it hard to recruit providers and other clinical staff. She expects the need for physicians will remain high, but worries that more cuts to Medicaid reimbursement will necessitate trimming other clinical staff. For Breeding, reducing services would take on a more personal tone. 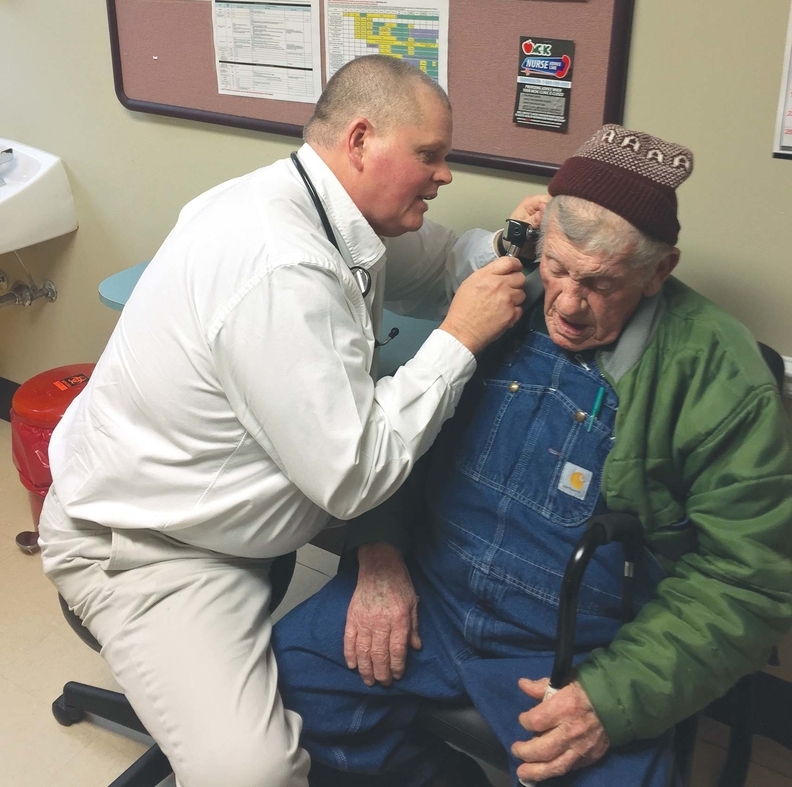 Over the past several years, Mountain has brought on two full-time cardiologists for its clinics, which are equipped to provide all of the services that his grandmother had to travel several hours to receive.